The Faith Mountain Farm family is happy to invite you to celebrate another year of farm living and production! Come by and share a few minutes with us as you walk around the gardens along the creek bottom and hear about the diverse endeavors of our farm from the family members who live and work here. 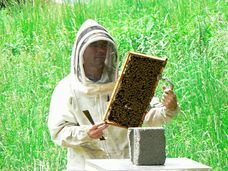 You can also sample our honey varieties and watch the honey bees work. Products available for purchasing during the tour: Maple syrup & fresh trout, caught-to-order... bring your cooler! 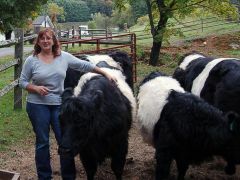 5) Highland Meadows Cattle Co.
Healing Springs Farm raises grass fed Belted Galloway cattle, pastured heritage breed pork, and farm fresh eggs. All of our animals are raised as naturally as possible without hormones, steroids or antibiotics. Our property is listed on the National Historic Register of places, due to the Healing Spring that was discovered in 1883. Water from the Healing Spring is reported to cure a wide variety of ailments. 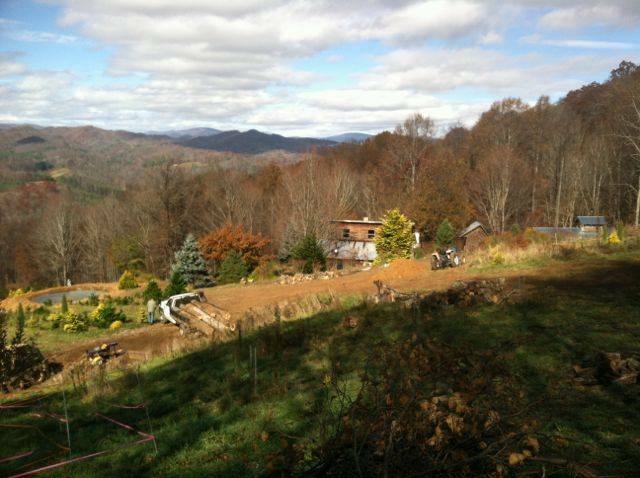 The original cabins have been renovated and are available for nightly rental. Additionally we make artisan soaps and body products with water from the Healing Spring. We have a farm store on the property where you can learn more about the history of the property and purchase beef, pork, & eggs along with soaps and body products. 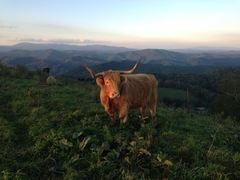 Products available for purchase during tour: Our farm store sells beef, pork, & eggs. Additionally, we have for sale a selection of artisan soaps and body products. Refreshments will be available. Directions: From Hwy 221 N in West Jefferson go 13 miles to Hwy 16N (Southern States feed store) turn left onto Hwy 16N and come up 6.2 miles. Turn right onto E. Healing Springs Road (sign for the Cabins at Healing Springs and Barr Evergreens) - go 1 mile to location. Products for Sale: We have a new wood fired pizza oven on the farm and will be making pizza for sale at the farm. 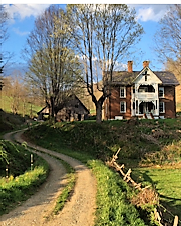 Little Peak Creek Farm located between Jefferson and Sparta is a 68 acre hobby farm with several varieties of friendly farm animals, a beautiful herb and vegetable garden , a rental cabin, and hiking trails throughout the property. Stephen is an artist and landscaper and has created a beautiful serene farm using his artist's touch and Lisa, a retired teacher loves to share her knowledge of animals and plants with children and adults. They have honey, flowers, jams, jewelry and bath products for sale and look forward to sharing their farm with you!